so my house is completely torn apart and is super messy and cluttered and is driving me crazy. so until the moving truck arrives tomorrow morning, i'm going to daydream of spaces that are clean, and have pops of pink. in looking over my recent 'pins' i realized that nearly every interior that i am inspired by has a pink element. 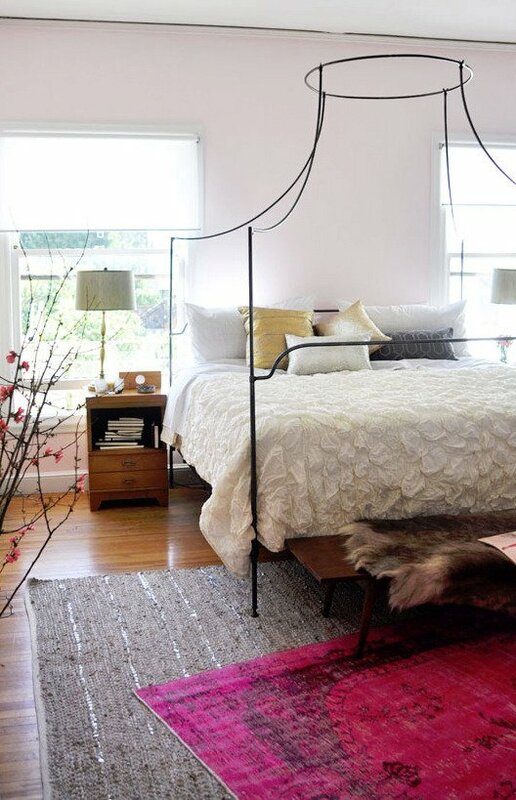 my favorite are the pink flooring pieces: the rug and the painted wood. love.